CHICAGO — Listening is important. This quarter’s American Drycleaner Your Views survey asked the trade audience if they want and ask for customer reviews of their operations and listen to what these customers tell them. 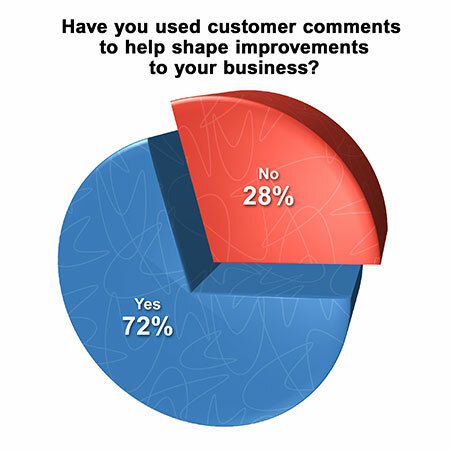 Seventy-two percent of survey respondents say they do want and ask for customer reviews, and 80% use customer comments to help shape improvements to their business. The Your Views survey is a snapshot of the trade audience’s views. Qualified subscribers to American Drycleaner e-mails are invited to participate anonymously in the unscientific poll.